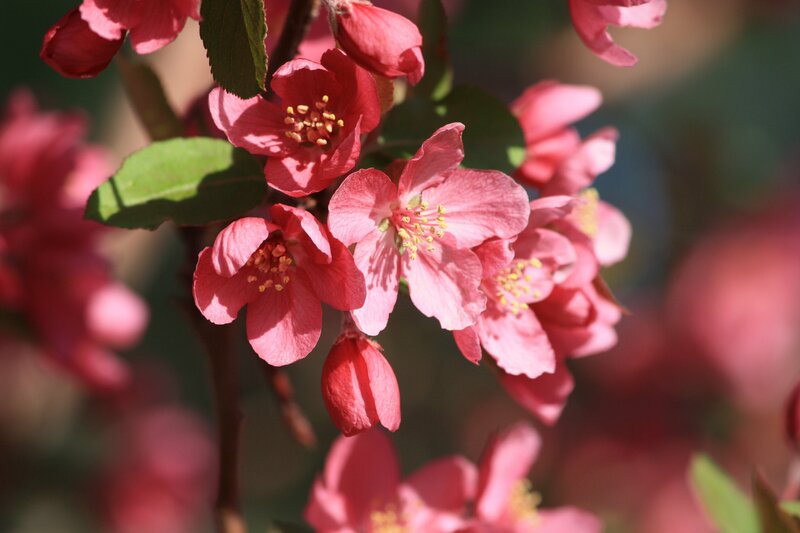 Free high resolution photo of red blossoms on a crabapple tree. These flowers are actually a pinkish red color, more like a coral or salmon. Crabapple trees bloom in the early spring with fragrant blossoms. This picture is free for any use.